Windows 8 gave Microsoft a bump last quarter, though its impact was more muted than the software giant might have liked. 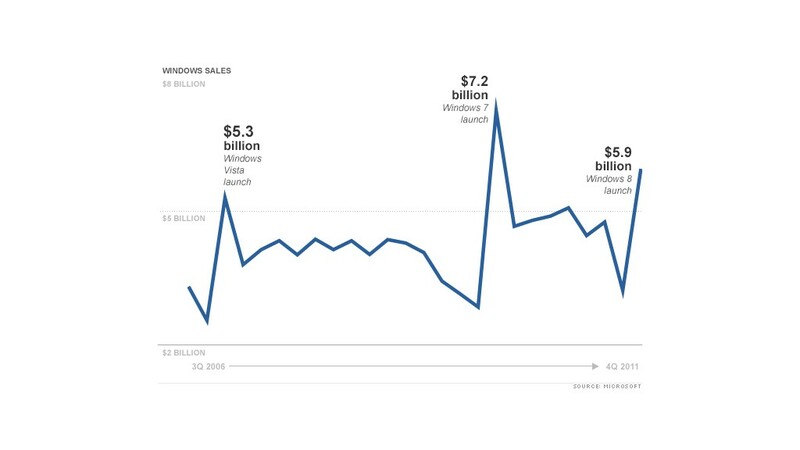 Windows sales rose 24% to $5.8 billion in the quarter that ended Dec. 31. Microsoft unveiled its years-in-the-making Windows overhaul on Oct. 26. The gain ended a streak of four straight quarters in which Windows sales declined year-over-year. But it pales in comparison to prior launches of the operating system: Windows sales soared 76% during the quarter that Windows 7 launched, and rose by 65% when Windows Vista debuted. 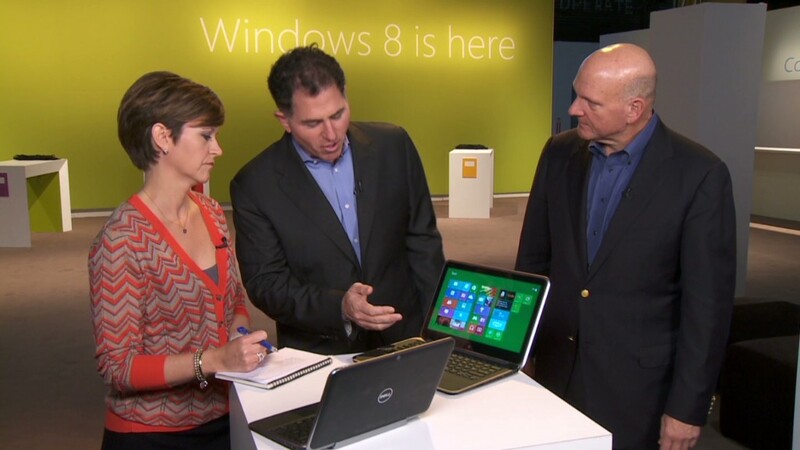 Lisa Nelson, Microsoft's investor relations director, said Windows 8 sales should be put into perspective. PC sales have slumped lately, and the computer market is very different now than it was when previous versions of Windows launched. Nelson said that a more apples-to-apples comparison would be to measure how much Windows sales have outpaced overall PC sales. The gap between those figures was roughly the same during Windows 8's launch as it was during the debuts of Windows 7 and Windows Vista. But there's another way to look at it: PC sales have been dreadful for more than a year, and Windows 8 is not doing anything to turn the tide. Last quarter's Windows sales included some deferred revenue for upgrade-eligible Windows PCs sold earlier in the year. Stripping those upgrades out, Windows sales rose by just 11%. When Windows 7 launched, Microsoft offered similar upgrades. Even with those stripped out, Windows sales jumped 28%. A different PC market indeed. Last quarter's Windows revenue includes sales of the Surface tablet -- Microsoft's first PC of its own design. The tablet received mixed reviews and has not sold well, according to analysts. Most estimate that fewer than 1 million units have sold so far. Microsoft said it would not be breaking out Surface sales -- typically not a sign that a product is a hit. Shares of Microsoft (MSFT) fell 2% after hours. Microsoft also debuted Windows Phone 8 during the past quarter, but sales in that division slipped 11% from last year. Excluding some $380 million in video game sales deferrals, revenue fell by just 2%. The division also includes the Xbox 360 and Kinect entertainment systems. Office sales slipped 10% ahead of this month's launch of Office 2013. The Redmond, Wash.-based software giant said net income for its fiscal second-quarter fell 4% to $6.4 billion, or 76 cents per share. Analysts polled by Thomson Reuters forecast had earnings of 75 cents per share. Sales -- which includes about half a billion dollars of deferred revenue for Windows, Office and Xbox promotions -- rose 3% to $21.5 billion, meeting analysts' forecasts.